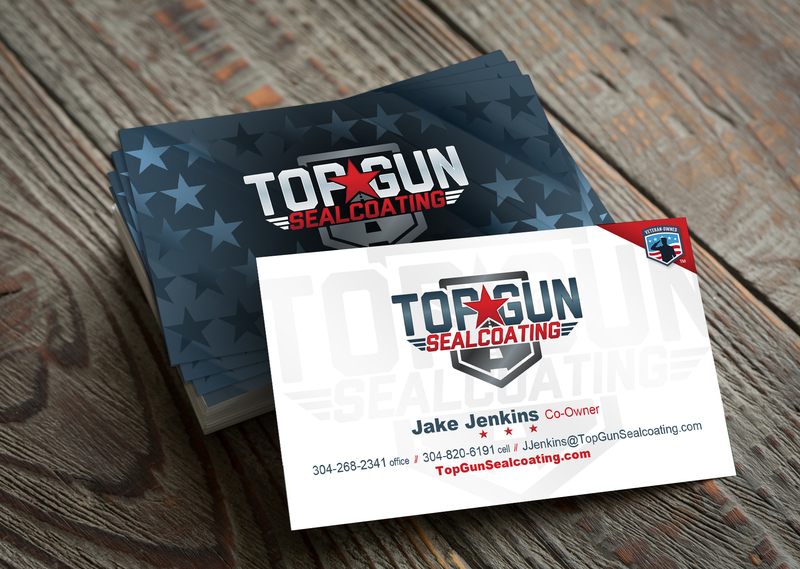 Top Gun Sealcoating recently partnered with The Stick Company to create a brand identity package for their startup company. Located in Martinsburg, West Virginia, The Stick Company had worked with members of Top Gun previously and were excited at the opportunity to help kickstart their marketing efforts. 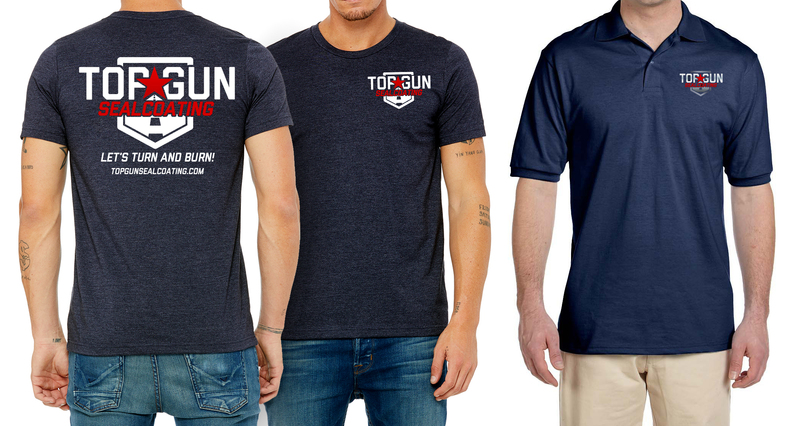 Based on their previous experience in the United States Military as pilots, the team had fun naming their company Top Gun Sealcoating, and wanted an identity that reflected their Veteran-Owned company, but also created their own distinct logo and branding moving forward. Once the logo was created, The Stick Company worked to create a set of business cards, construction site signage and branded company merchandise to help feature the new brand identity. A custom website was also created to showcase the various services of the company, along with photos and case studies. The images were also used to help kick-start the 2019 social media push the company is planning during the winter months. Our experience with STICK has been excellent. We have used several of their services and each and everyone was managed efficiently and professionally, exceeding our expectations. The STICK team evaluated our budget from a start-up to an entry level business and created the exact imagery we had dreamed of! If you are a results driven organization, STICK is the real deal. So, who is Top Gun? Top Gun Sealcoating is a Veteran owned business, servicing West Virginia’s eastern panhandle and surrounding areas. Asphalt maintenance is about more than tools, equipment, and material; It’s about PEOPLE and TRUST, and that is what they do well. The Top Gun team have called the panhandle “home” for nearly 30 years. 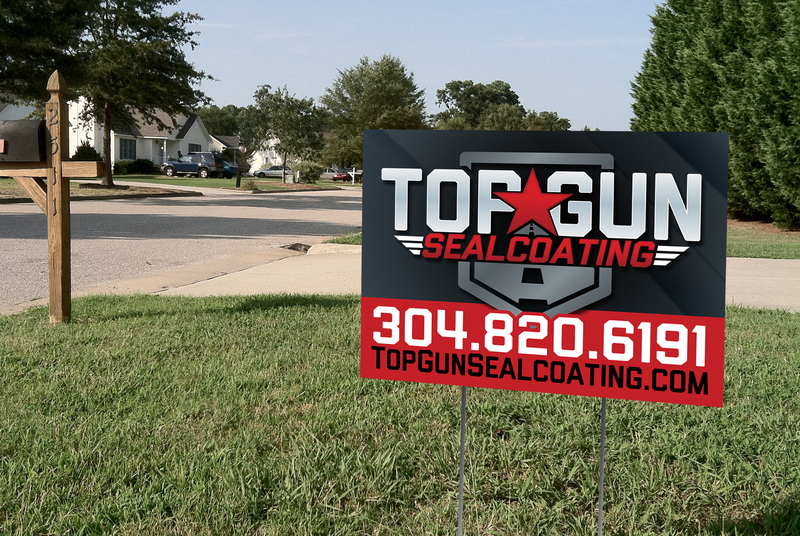 They started Top Gun Sealcoating with the customer in mind, as well as, the mission of offering the best product for the home owner. 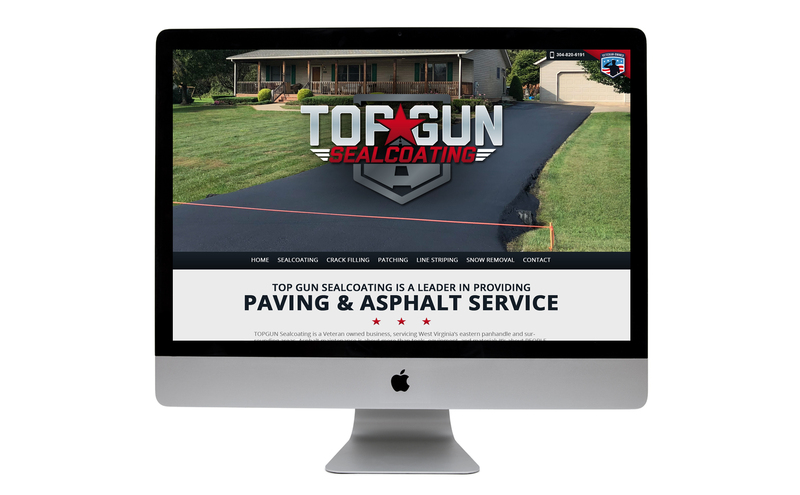 They take great pride in offering you the best customer experience, coupled with the best products, to enhance the quality of your driveway or parking lot! Attention to detail and pride in our work is at the core of everything they do. The Stick Company is a Branding Agency Like No Other, headquartered in Morgantown, West Virginia. Offering a number of services, we specialize in branding, print design, website development, vehicle wraps, interior wraps, and custom signage. To learn more about our company, please visit our CULTURE page, or visit our services page to see more of our past projects.